As a member of the FEWC, you become part of an international professional network of concerned individuals, committed to the development of a peaceful, prosperous and just Asia Pacific community. You will have opportunities to take part in activities and meet dynamic individuals from the Asia Pacific region. FEWC membership dues are not just payment for services rendered. 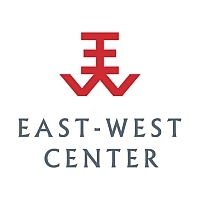 Membership in the FEWC expresses support for the East-West Center’s ongoing mission and activities. We hope you will join us as a member of the FEWC because we believe the East-West Center is needed NOW MORE THAN EVER. Please note that all products or events ordered on this website will be billed through PayPal. We do this to protect your personal information. No credit card information is stored on our server. If you wish to pay for your membership with a check, please download our Membership Registration Form.